Can The Walker Brewery Still Be Seen Today? 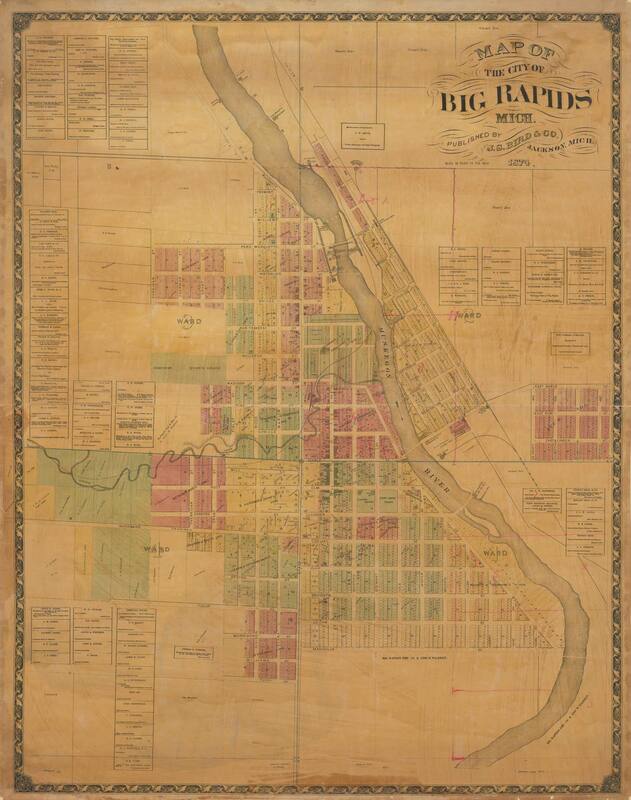 1874 Map of The City of Big Rapids, published by J. S. Bird & Co. 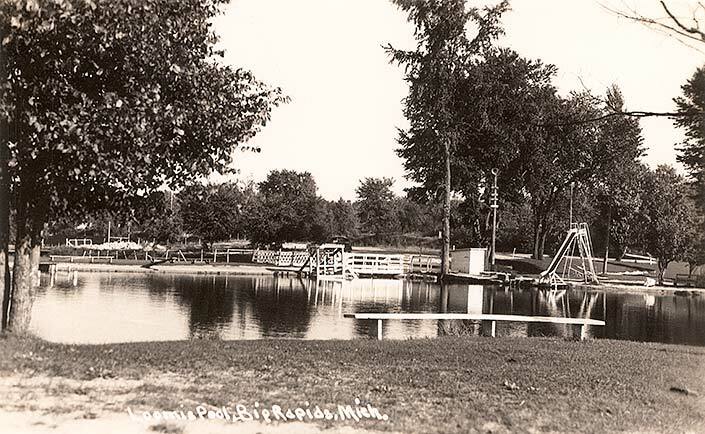 Courtesy Archives of Michigan. Well, what's left of it –– maybe. Swimming Pool Big Rapids, Mich. Postcard, unknown publisher. Author's collection. Trees and brush had to be cleared because the area had long since overgrown, the pool dredged, a dam, a 150 foot long spillway, a wall to divert the creek and a drainage trench built. 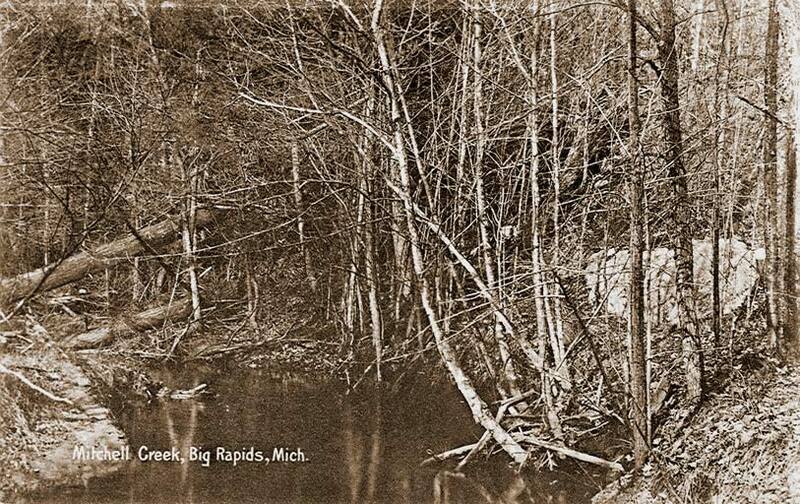 Mitchell Creek c.1910. How To Brew Good Beer by John Pitt, published by Longman, Green, Longman, Roberts and Green, 1864. After the Walkers left the business by 1876, Albert Winter took over the brewery until he sold it in 1880. After that, the brewery was rented out as a residence through the years until at least 1913. Sanborn Fire Insurance Map from Big Rapids, Mecosta County, Michigan published August, 1884. Library of Congress. 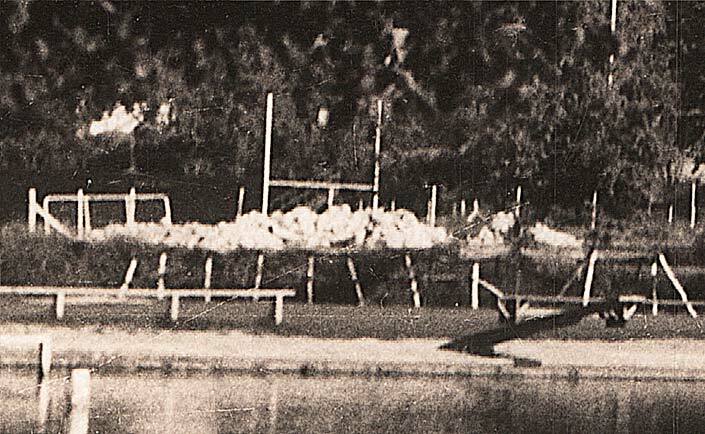 Below is an aerial shot from 1966 showing the Loomis pool and athletic field. The property plat lines of the brewery are in white; the original lot bought from Tom Lazell and the Hutchinson lots #9 & 10. 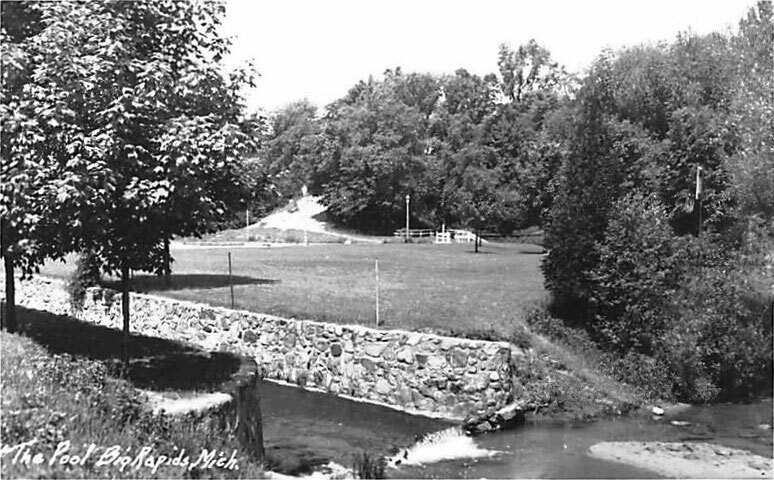 The lot later purchased from P. M. Brown was likely due to the Walkers' accessing Mitchell Creek for brewing water across property lines. Brown's wife Harriet also happened to be a member of the The Big Rapids Ladies' Temperance Alliance. The dotted line in the Lazell lot indicates the boundary of the railroad right-of-way. Yellow indicates the extension of Mill Street on Lazell's property used by his mill and the brewery. The red lines indicate the brewery buildings showing the original structure on the Lazell lot , and the larger 1871 brewery with it's stable just west of it. Position of the brewery was based on available maps, the current (and past) geography and a photograph possibly showing what was left of the brewery's cellar. 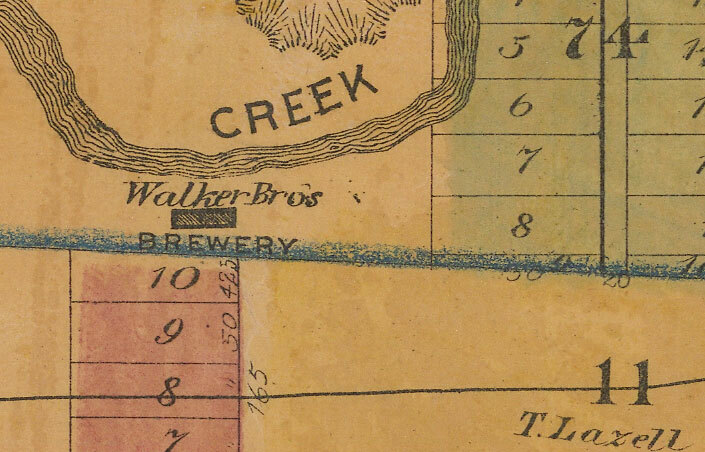 The blue lines indicate the path of Mitchell Creek at the time of the brewery's construction. The green line indicates the track of the Muskegon-Big Rapids railroad . Aerial shot today. 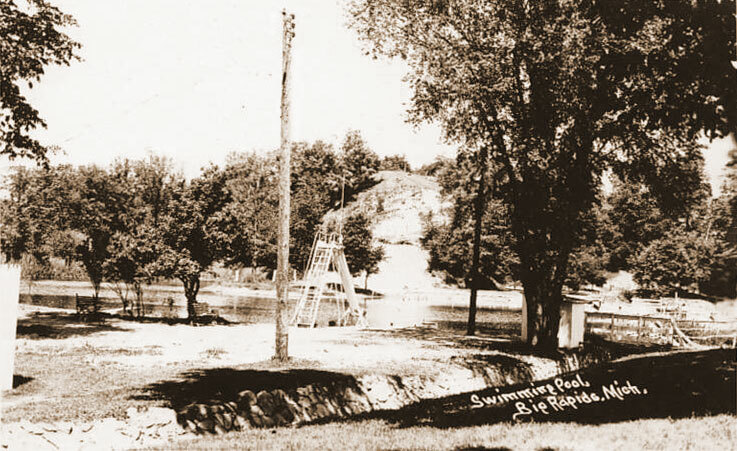 The photograph above from 1938, which shows the completed Loomis Pool, also shows a pile of stone right where the brewery building would have stood. The stonework to build the dam, the 150 foot long spillway plus the stone-lined drainage trench from the entrance to the dam was most likely courtesy of the brewery's cellar. Today, only part of the spillway is still visible. 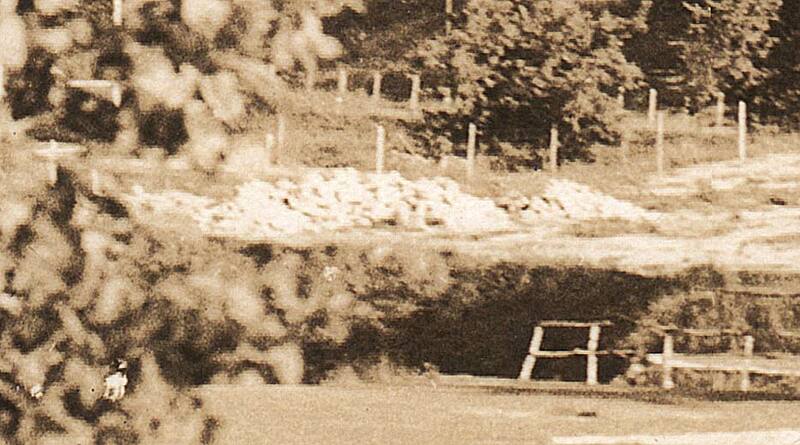 Most of it was covered up when the current Fairman Pool was built in 1975. [LINK] Showing the outlet of the spillway looking NW. The POV is looking from the spot of the brewery. 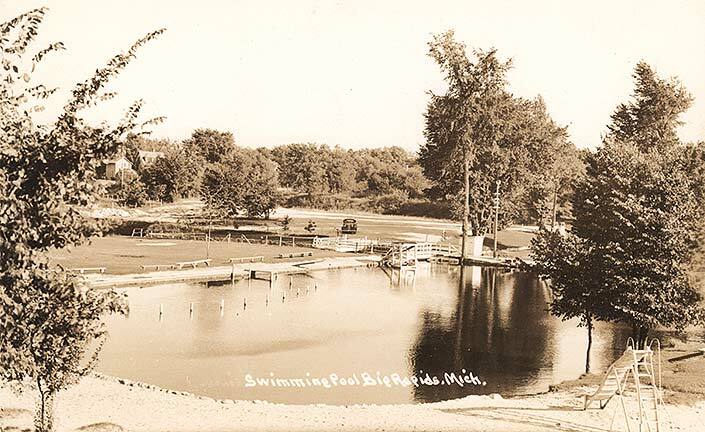 [LINK] Another view of the pool from 1938 showing the pile stone. Close-up of stone pile. 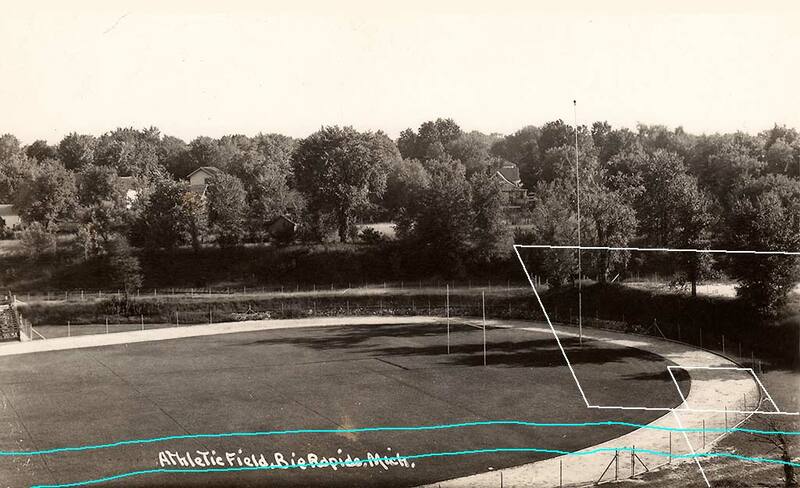 [LINK] Looking Southwest at Loomis Athletic Field from 1938. Lines show the plat lines of the Lazell lot, placement of the first Walker building and the path of Mitchell Creek at the time. [LINK] Current shot of the spillway showing the stonework. Rubble and field stone had not been used in construction since the late 1800's. On the final day of construction, the Mecosta County's Forestry Camp, part of the Federal Emergency Relief Administration, donated 100 men to help finish the project. This probably came in handy when Mitchell Creek flooded, which it did severely about every ten years. A 40 x 60 structure would be a total of 200 feet of wall. At a conservative width of 12 inches and 11 feet height, that's 2,200 cubic feet. At 15 cubic feet per ton, that's 147 tons of stone. My estimate to build the Loomis Pool structures, which includes the dam, spillway, drainage trench and a wall to divert Mitchell Creek adds up to 146 tons. Shown in the 1870 birds-eye-view map (building on right). Eventually owned by the Pere Marquette Railroad.